According to the U.S. Census Bureau, Ohio’s median household income is $49,644. The secretary of state’s website shows that William Lager, owner of the charter school ECOT, contributed $210,085 to supportive politicians in 2015. This means that Lager gave more than four times more to politicians than the median Ohio household even earned. What do Ohioans get from Lager’s taxpayer-funded Electronic Classroom of Tomorrow and subsequent taxpayer-funded political donations? More students drop out of ECOT or fail to finish high school within four years than at any other school in the country. 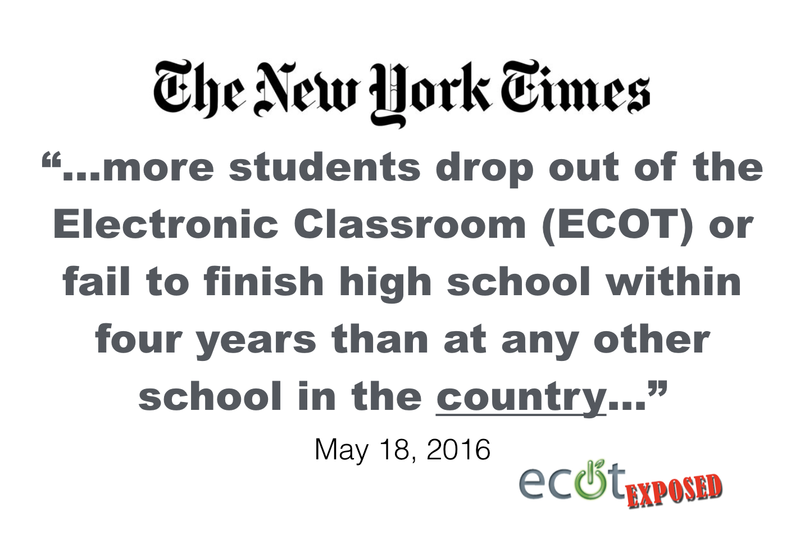 Lager’s ECOT charter school is so bad that even The New York Times featured an article on May 18 outlining the questionable practices and sky-high dropout rates. At what point in time does a political contribution become a bribe? “No excuses” charter schools now making excuses, but shouldn’t be. NOPE. 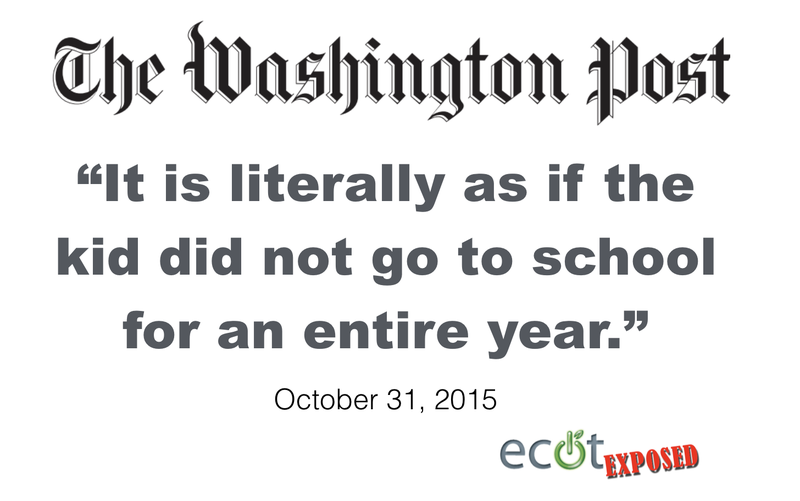 Cyber charter schools, like ECOT, can’t claim their failures are because of poverty anymore. Even though they try. Lobbyist Neil Clark, spokesman for the Electronic Classroom of Tomorrow, is throwing to the wind the mantras of “all kids can learn” and “stop making excuses for failure” that prevailed during the birth of Ohio’s charter schools. A recent CREDO report on e-schools shows that e-schools have the same poverty problems as common public schools, but ECOT’s graduation rate is still the lowest in the country. ECOT’s advertising campaign has obviously kicked in, starting in 2008, and has been drawing in students from all over Ohio. So now that the poverty level is similar between ECOT and Public Schools, what is their excuse for 62% of their students not graduating? So much for “every student can learn,” and how about that whole accountability thing. Author keving722Posted on June 9, 2016 June 9, 2016 Categories EthicsTags ECOT Performance, excuses, original2 Comments on “No excuses” charter schools now making excuses, but shouldn’t be.